MY BOOK, THE MOVIE: Dayna Lorentz's "No Safety in Numbers"
In Dayna Lorentz's No Safety in Numbers a strange device is discovered in the air ducts of a busy suburban mall; the entire complex is suddenly locked down. No one can leave. No one knows what is going on. At first, there's the novelty of being stuck in a mega mall with free food and a gift certificate. But with each passing day, it becomes harder to ignore the dwindling supplies, inadequate information, and mounting panic. I’m a movie person, and this cinematic sensibility informed much of the writing of No Safety in Numbers. Less so in casting my characters, though, than in how I envisioned scenes and thus tried to get them down onto the page. But I did find inspiration for my characters in the movies I loved as a teenager, so here goes! 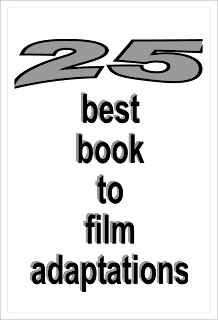 Marco Carvajal is the character most directly inspired by movie personalities. I see him as a cross between Ralph Macchio in The Karate Kid and Anthony Michael Hall in Weird Science. I love Ralph Macchio’s plucky Danny, though he is much more action-oriented than Marco, who’s made himself invisible to avoid being bullied, or so he hopes. And Anthony Michael Hall’s performance as Gary might be the greatest in 80s film history (though Val Kilmer in Real Genius could give him a run for the title). I love his biting, underdog sarcasm—so does Marco. Mike Richter is Kiefer Sutherland in anything before he became the All-American hero of 24. No joke, when I was a teen, I found him to be the most terrifying actor. His roles in Stand by Me, The Lost Boys, and Flatliners scared the crap out of me. He’s cold and calculating and a bully, but there’s a depth there, which is kind of the scariest part. That’s Mike all over. Drew Bonner could be Val Kilmer in the 80s, though a doofy Val Kilmer—he’s good-looking and a total ladies man. Maybe more like Thomas F. Wilson as Biff Tanner in the Back to the Future films. He’s popular and loyal to the point of zealotry, but a total meathead. I always pictured Shay Dixit as a young Aishwarya Rai, whom I first encountered in Bride & Prejudice, where she played the sensitive and smart older sister—just like Shay. Not only that, but she won Miss World in 1994, and is the most gorgeous woman on the planet, as far as I’m concerned. That captures how just about everyone in the book sees Shay. Ryan Murphy is part Tom Cruise in All the Right Moves and part River Phoenix in Stand by Me. He’s earnest and tough, though a little lost, just like those guys. And gorgeous. Like them. I will admit to having a huge crush on Tom Cruise, but Tom Cruise from Legend, and River Phoenix from, well, anything. Lexi Ross could be a teenaged Jada Pinkett Smith, if she’s anything like her character Niobe from The Matrix Reloaded, or maybe Jennifer Hudson, though I’ve only seen her in Dreamgirls. Lexi’s tough and smart and funny, but not traditionally pretty—not exactly a common set of characteristics in an actress. If we could dye her hair, Ginger Franklin could be Ione Skye as Diane Court in Say Anything…. Ginger is spunky and smart, but also vulnerable and has some major issues with her dad—very Diane Court. Maddie Flynn is badass and pushy and a little bit scary, so she would be Angelina Jolie as Lisa Rowe in Girl, Interrupted. I saw the Senator Dorothy “Dotty” Ross as Angela Bassett in Strange Days. I don’t even really remember the film, but something about her stuck in my mind as I was writing. It would be amazing to see this ensemble together, fighting for their lives in the Shops at Stonecliff. Alas, it can never be—time has passed me by! 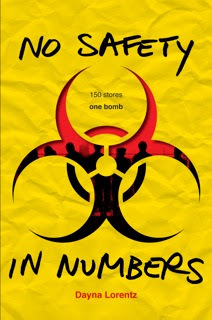 Visit Dayna Lorentz's website and blog, and watch the No Safety in Numbers trailer. Read--Coffee with a Canine: Dayna Lorentz & Peter and Kerry.